Pain is so very isolating. Mix that with being alone, and it is the recipe for a long day. I’ve been having too many of them. Currently unemployed, and I am still in transition from one place to another. I have the grace of my family keeping me going, and the hope that things will shift and settle into place for me at any given time. Two months is just a blink, I know. I’m so ready to get going with things. I’m ready to embrace my calling and to live my life fulfilling whatever it is I’m supposed to be doing. Now..what is it that I’m supposed to be doing again? Therein lies my big question. What am I supposed to be doing? I scream it towards the heavens. God, tell me what to do! It’s not easy like that. It never is. There comes a point where you just have to start going. Momentum is important. Like watching the dudes in those World’s Strongest Man competitions pull a cement truck with a rope. They key is momentum. Being super freakin’ strong also helps. I’ve had so much time to sit around and think and think and think. 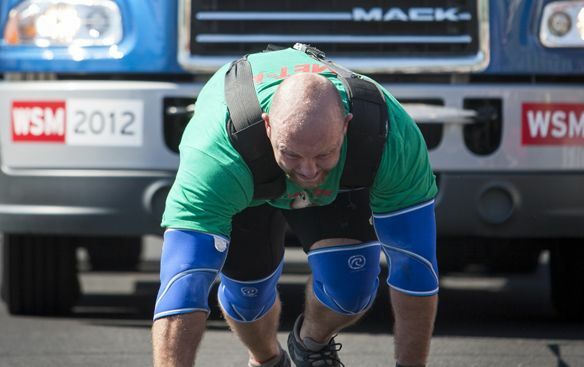 I often don’t feel very strong, at least what a person would need to pull a cement truck. Being in between is a purgatory of sorts for me. Neither here nor there, awaiting some sort of judgment from the higher ups. And I’ve been that way for a while. Not just in Mississippi, but since that big shift occurred in my life. Granted, I am making forward motion, very slowly. Some days I am left alone with a few voices in my head telling me I will not amount to anything, and that I will dissolve into oblivion. You should know by now that I’m being dramatic. I also know these voices aren’t my true self. They are though, the weakest and most vulnerable of voices that I acknowledge from time to time. When I visited the space, it was currently occupied by a college kid. It smelled like two week old damp towels and Axe body spray, but I looked past it all and saw what it could be. I suppose I do that with any space I’m given. I’m lucky that I’ve been given the tools to create a good space for myself wherever I am. Social interactions don’t nearly exhaust me like they used to because of this space I create for myself. Maybe because I’m more aware of myself in the larger scheme of things, and it allows me to connect without making it all about me. I am doing a lot of work on myself. Being alone, as much as it hurts sometimes, is good. It makes me feel strong when all other signs tell me I’m weak and lazy. Put me in a place where this is love and an inch will go a mile. Starting over. Hrm. Not quite. Adding on, maybe. Readjusting. Stretching and moaning, with the occasional grinding of teeth. Setting the broken bone is quick, but the healing takes time. Small moves, but substantial. If any of you ever find yourself in the middle of Mississippi, I have a place at the table for you. I’ll feed you something I’ve been wanting to try, and I’ll show you a southern sunset, which is most particularly beautiful in these parts. I’m not sure why. and it will be so good to see you. thanks for stopping by! and good luck as well! It’s strange how much I can relate to these words even though I’m not really sure of the circumstances in your life that inspired them. Purgatory is a lonesome, vicious place to be. Perhaps the place where you heal (slowly, yes) but also the place where you torment yourself for whatever has brought you to this place. That’s how it is for me right now, anyway. I know it can’t last forever. I know I’ll find myself looking back on it one day and wondering why I was so anxious.. but it doesn’t help the anxiety much while I still feel so stuck. Life is such a trip. Best of luck with your new place. p.s. that troll commenting on your site IS kind of crazy. for sure. Oh, you saw that? Yes.. you should see the comment I moderated. Gah. I wondered if I threw my foot down a little too harshly behind all that but I get a little fierce when people don’t respect my boundaries.